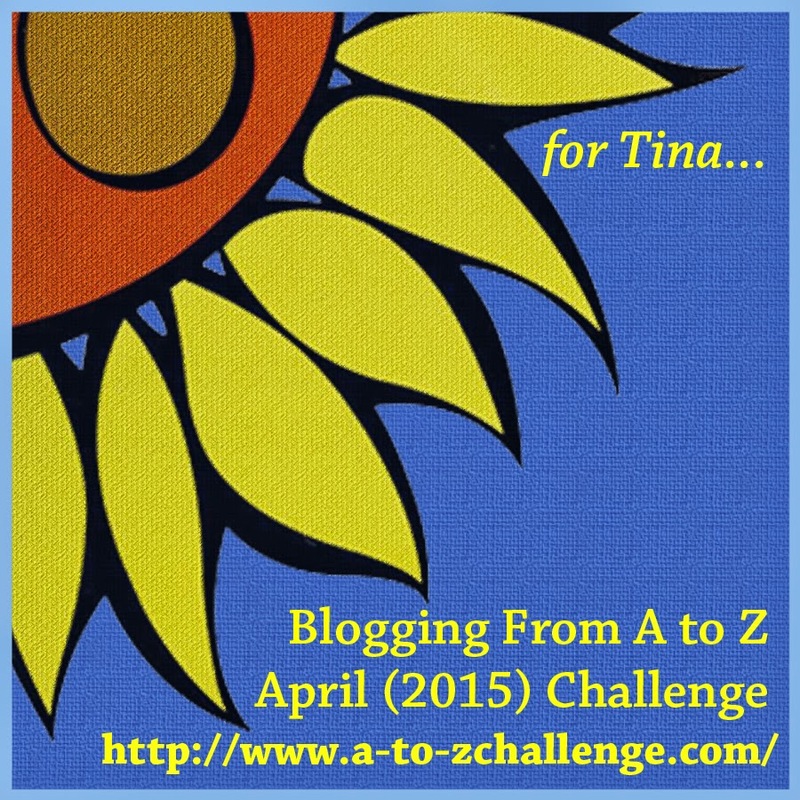 Welcome to day 3 of the A to Z Challenge. By now, if you have read many of my posts, you know I love ALL flowers. But love comes in many degrees, right? Clematis is one of my higher degrees of love. My most favorite of all time is a white Clematis we had at our first home. Unfortunately it did not survive the move to the home we have now. It was white as snow and I have yet to find it again. We have four different varieties growing right now. The star is the Montana Ruebens I will share with my first picture. It is easily the most prolific, mainly due to it’s habit of growing 30-40 feet this gem is very showy. It has a profusion of light pink blooms that are so gorgeous to see. This is a Montana Ruebens Clematis. Light pink with habit to grow 35-40 feet. Due to the weight it cannot climb the light pole in the middle. I also have this striped Clematis, which is the only two tone in my current landscape configuration. It does not grow nearly as large as the Montana Ruebens, but has been around just as long. All of the varieties I have were added during the time I owned my own greenhouse business. I cannot truly pick a favorite between the Clematis I have. 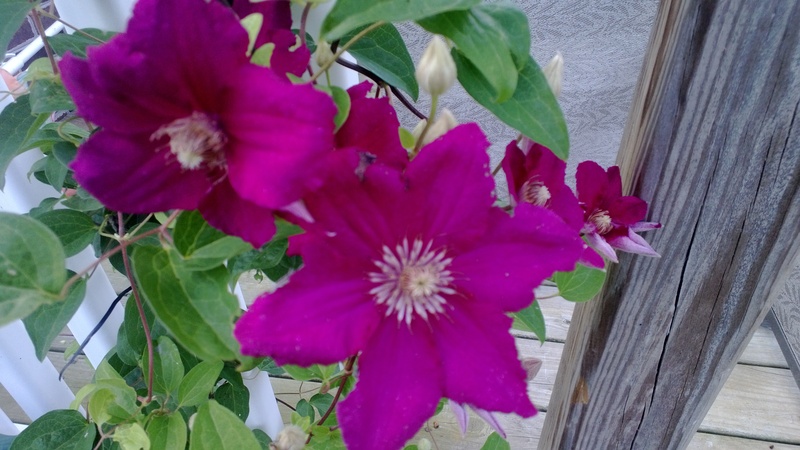 Another of the Clematis around our deck, this one has a particularly rich color when it first blooms. The color begins to gradually fade as the bloom wanes. The largest display of all the clematis comes in the spring, usually about mid-May. Most of them will bloom again in the fall although it is not usually such a showy display. I also have a rich blue Clematis flanking the one above, but for whatever reason I cannot dig up a photo to share in this post. 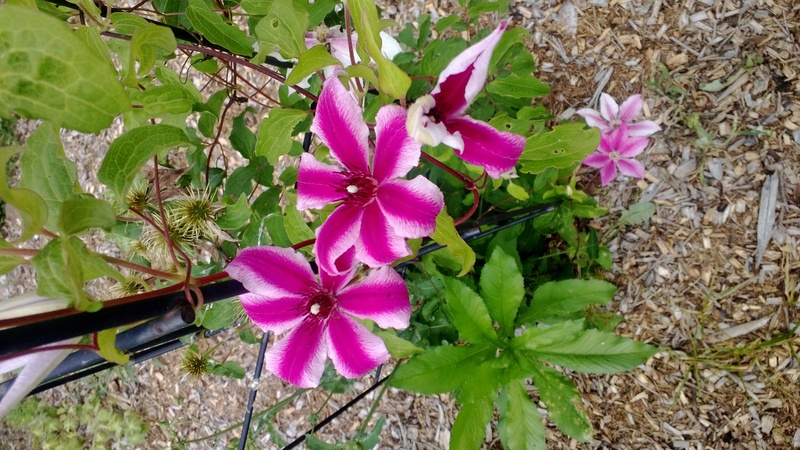 I hope you enjoy the A to Z choice for C.
This entry was posted in Clematis, flowers, gardening, perennials and tagged Clematis, flowers, gardening, perennials, spring blooms on April 3, 2015 by Joe Owens. Welcome to my 2015 A to Z Theme Reveal for Chasing the Blooms. In 2013 I took part in my initial A to Z challenge and did not put as much thought into how I wanted to approach the challenge. in truth I did not find out about it un til days before, so there wasn’t time to do much other than my 26 posts. I missed last years turn but wanted to give 2015 a really solid try. This year I have redesigned my blogging efforts and have 4 blogs entered into the A to Z. For this particular one my focus is on the flowers I have around my property or ones I want to add. My challenge will be finding ones that will equate with some of the odd letters. I may have to get really creative to do this. Some of the flowers I will share will be repeats of posts I have done previously during the year. Some will also come from the Floral Friday Fotos weekly link-up, where I get the opportunity to enjoy favorite flowers from around the world. I find it interesting to see that some of my favorites are also favorites in other parts of the world. I hope this will make for an exciting and colorful journey as we count the days in April. 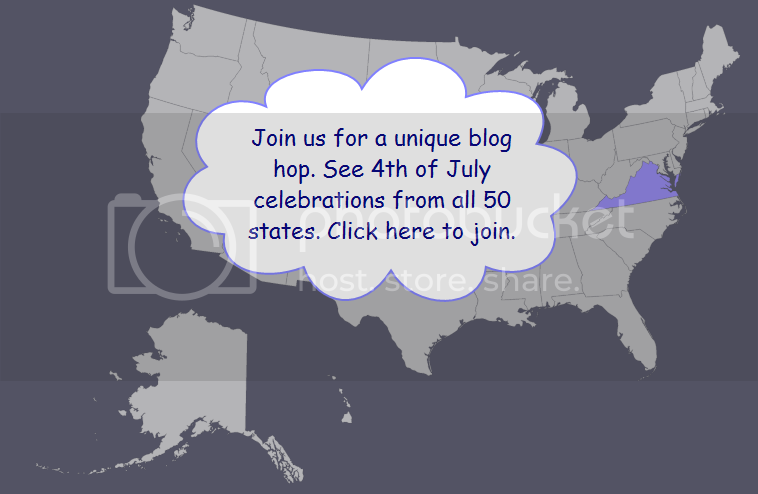 I appreciate your visit to my theme reveal and invite you to not only return for the 2015 A to Z challenge, but to check out my other theme reveals as well. This entry was posted in 2015 A to Z Challenge, Amaryllis, Annuals, Clematis, cut flowers, Dahlias, Floral Friday Fotos, flowers, gardening, Gazanias, Orchids, Uncategorized and tagged 2015 A to Z Challenge, annuals, favorite plants, flower gardening, flowers, gardening on March 23, 2015 by Joe Owens. By now, if you have read many of my posts, you know I love ALL flowers. But love comes in many degrees, right? Clematis is one of my higher degrees of love. My most favorite of all time is a white Clematis we has at our first home. Unfortunately it did not survive the move. It was white as snow and I have yet to find it again. I will dig for a photo of it and scan it to my computer to add here. In the meantime I hope you enjoy the ones we have now. I know I have some photos of a blue one, but cannot find them right now. I will edit if I find. This entry was posted in Clematis, flowers, gardening and tagged Clematis, flowers, gardening, Montana Ruebens Clematis, outdoor plants on March 6, 2015 by Joe Owens.